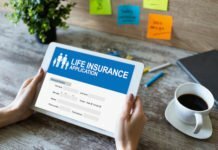 ARLINGTON, Va., and WINDSOR, Conn. — Cost is the reason most Americans give for not owning life insurance, according to the 2015 Insurance Barometer Study, released April 14 by LIMRA and non-profit Life Happens. Yet, 80% of consumers misjudge the price for term life insurance, with Millennials overestimating the cost by 213%, and Gen Xers overestimating the cost by 119%. The study found that nearly one third (30%) of Americans believe they need more life insurance and more than 2 in 5 (43%) say they would feel a financial impact within 6 months if the primary wage-earner died. However, the majority of Americans (54%) say it is unlikely they will purchase life insurance within the next 12 months. 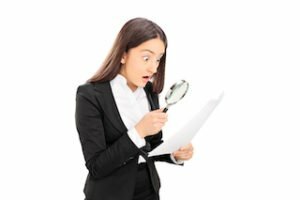 While most consumers have a moderate understanding on how age and health factors can affect the cost of life insurance, many are unaware of other factors that can impact how much they pay for life insurance. The Barometer also found that information about those cost factors may not be reaching potential customers as effectively as previously believed. Younger Americans are more likely to use the Internet to shop for insurance, and older Americans are more likely to purchase offline, however the age at when those purchase preferences begins to change occurs at 45 – about a decade later than had previously been thought. This finding could help shed new light on the most effective ways to engage specific age groups about life insurance. What is clear is that while Americans understand the importance of life insurance, they continue to prioritize other short-term expenditures, often failing to understand how affordable life insurance can be. The 2015 Insurance Barometer Study was fielded in January 2015 using an online panel, which surveyed 2,032 U.S. adults age 18-75. The data were weighted by age, gender, education, race, region, and income to be representative of the general population. A propensity score adjustment was added to correct for biases inherent in Internet panels. The margin of error in this study is 3 percentage points. About LIMRA: LIMRA is a worldwide research, consulting and professional development organization that helps more than 850 insurance and financial services companies in 73 countries increase their marketing and distribution effectiveness. Visit LIMRA at www.limra.com. About Life Happens:Life Happens is a nonprofit organization dedicated to helping consumers take personal financial responsibility through the ownership of life insurance and related products. The organization does not endorse any product, company or insurance advisor. Since its inception in 1994, Life Happens has provided the highest quality, independent and objective information for people seeking help with their insurance buying decisions. The organization supports the insurance industry by providing marketing tools and resources and convening the industry each September for Life Insurance Awareness Month. Life Happens is supported by more than 140 of the nation’s leading insurance company and financial services organizations. To learn more, visit www.lifehappens.org.